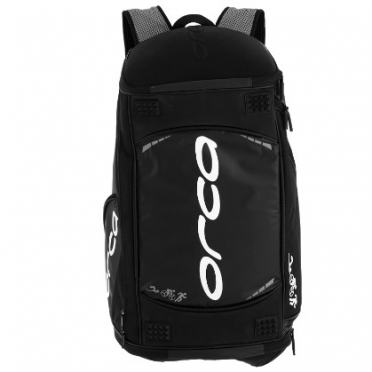 If you are looking for a backpack where you can carry everything you need for your competitions or training sessions, the Orca Transition backpack black is the accessory for you. This is an adjustable backpack, which thanks to its adjustable capacity system allows you to increase its capacity so that it can be used in all purposes. Thanks to its new flat base, the backpack remains upright when propped up under a surface, perfect for transitions and changing rooms. It has a pocket for your helmet and a separate pocket in the lower part, which is ideal for carrying a wetsuit or wet clothing. In addition, its design allows for ventilation in the back area, so that it can be used comfortably on the way to training sessions or competitions. 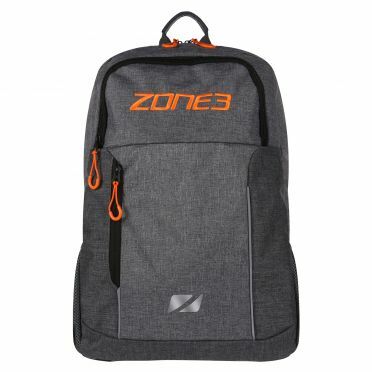 The Zone3 Workout backpack grey/orange is designed for day to day use for going to the gym or pool. 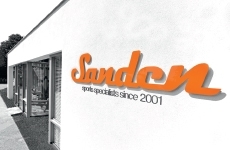 This product has been designed from personal situations which all athletes seem to encounter and need but very few bags on the market provide for. 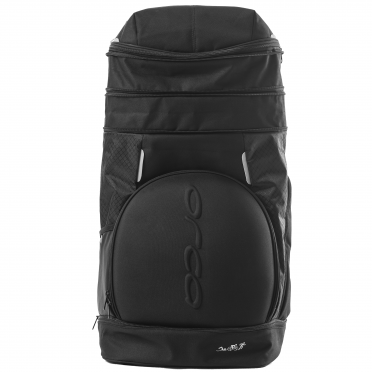 With a capacity of 48 liters this backpack is perfect for everyday use. Not too big or too small, perfectly functional and making going to and from workouts that little bit easier. 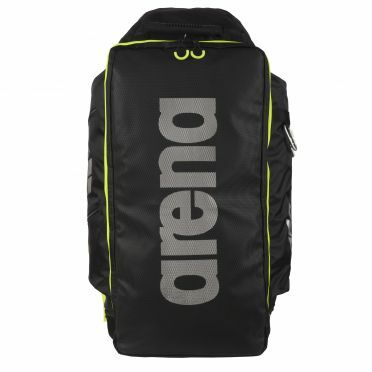 The Arena Fast Tri backpack black/yellow is a large backpack, which is especially designed for the needs of triathletes. The water repellent material protects the interior even in wet environments and the numerous pockets provides enough storage space for all utensils. The backpack can be carried carried in different ways. Wide shoulder straps and the reinforced back panel provide optimal wearing comfort. 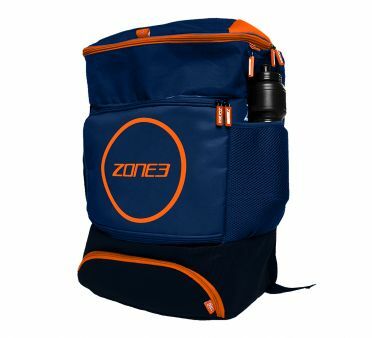 Zone3 have made a number of exciting changes to their Zone3 Transition Bag black/orange and it’s now packed full of new features making it extremely functional and more comfortable than ever. Holding a capacity of 40litre, it is a particularly innovative design and much more than just a bag to carry kit in. The backpack has been designed with three main compartments to help organise your race kit. Within each compartment there are itemised zipped pockets to help keep items separate and easy to find. The bag has been cleverly designed so that each compartment is accessed in a different direction to help maximise space and functionality. 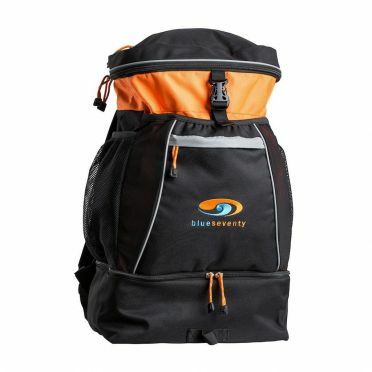 The Blueseventy Transition bag orange holds everything you need on race day yet is compact enough that you won't feel like you're setting off on an expedition. The large insulated bottom section separates wet gear from the main compartment. Two expandable side water bottle holders and four smaller zipped pockets for essential items. Fully loaded this bag fits all airline carry-on requirements. 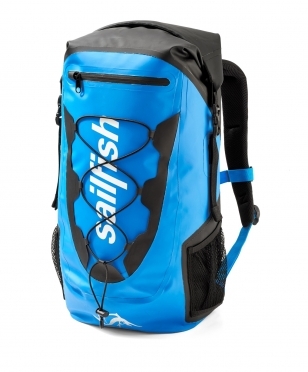 Sailfish Triathlon backpack cape town 35 liter black/blue: compact topload backpack ideal for training or competition. Main compartment with zipper and made from water repellent material. Handle, padded carrying shoulder straps, reinforced back. Outside pockets for shoes, swimwear, mobile phone, bottle, keys and other utensils. Inner pocket with several compartments made of mesh material. Sailfish Triathlon backpack cape town 35 liter black/red: compact topload backpack ideal for training or competition. Main compartment with zipper and made from water repellent material. Handle, padded carrying shoulder straps, reinforced back. Outside pockets for shoes, swimwear, mobile phone, bottle, keys and other utensils. Inner pocket with several compartments made of mesh material. Sailfish Triathlon backpack cape town 35 liter black/silver: compact topload backpack ideal for training or competition. Main compartment with zipper and made from water repellent material. Handle, padded carrying shoulder straps, reinforced back. Outside pockets for shoes, swimwear, mobile phone, bottle, keys and other utensils. Inner pocket with several compartments made of mesh material. 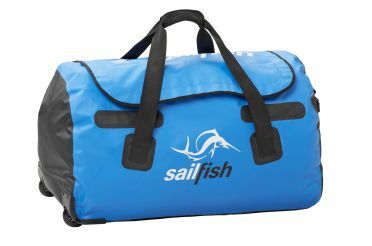 The Sailfish Wheel travelbag 120 liter with one large inner compartment, small inner pocket and wheels is the perfect companion for traveling. Padded handle for easier pulling. 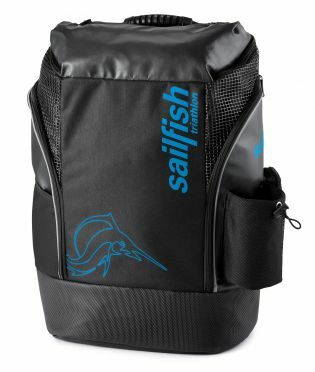 Versatile, Sailfish Waterproof backpack with removable laptop compartment. 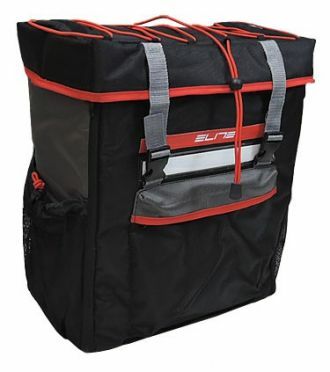 Padded back panel and adjustable shoulder-, chest- and waiststraps provide for high carrying comfort – also on the bike. 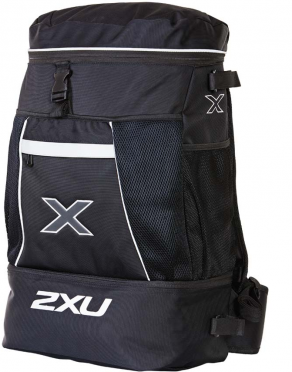 This 2XU Transition Bag backpack is the ultimate triathlonbag of excellent quality, but can also be used for other sports. The transition bag has a big main compartment, a small zip pocket with headphone output, a small front pocket outside with zipper. A compartment for wet swimming togs, two big side mesh pockets, an extra big compartment inside as well as a mobile phone pocket and a mesh inside pocket. For a secure fit the transition bag has also an adjustable hip belt. 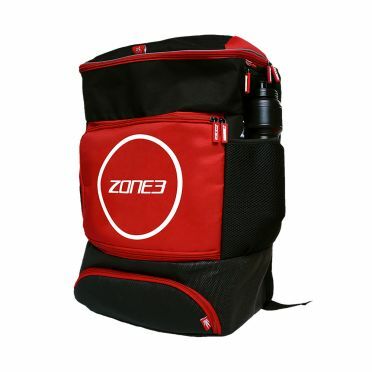 Zone3 have made a number of exciting changes to their Zone3 Transition Bag black/red and it’s now packed full of new features making it extremely functional and more comfortable than ever. Holding a capacity of 40litre, it is a particularly innovative design and much more than just a bag to carry kit in. The backpack has been designed with three main compartments to help organise your race kit. Within each compartment there are itemised zipped pockets to help keep items separate and easy to find. The bag has been cleverly designed so that each compartment is accessed in a different direction to help maximise space and functionality.